Given the bevy of food delivery apps available on the market, including DoorDash and the $40 million Series B it announced yesterday, it begs a question: Who’s going to make the app to help you decide which delivery service to choose? The two-year-old DoorDash, which touts itself as a technology business with an on-demand delivery focus, is going to use the cash to expand beyond the eight cities it currently serves, as well as to invest in its logistics technology, DoorDash said in a blog post yesterday. Kleiner Perkins Caufield & Byers led the Palo Alto, CA-based company’s Series B round, and existing investors Sequoia Capital, Khosla Ventures, and Charles River Ventures also joined in. The company uses an automated system with an algorithm that calculates factors including road conditions, customer location, restaurant prep time, its delivery employee’s past performance and even the temperature of the food to pick the best driver (or bicyclist) for the order and the best route for that person to take, the company said in October. 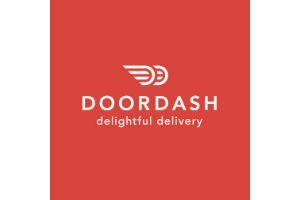 It plans to eventually deliver more goods besides food, DoorDash said in its blog post yesterday. Delivery and ordering apps for meals, groceries, and other goods have been attracting venture dollars in strong order, from Favor’s $13 million Series A earlier this month to the $220 million Instacart raised to start off the year. There has been consolidation in online ordering, too, as Xconomy’s Jeff Engel examined last month.